It may not be readily apparent if you are not looking for it, but something different will be “underfoot” this weekend on the LPGA and PGA Tours. And it will all be for a worthy cause. CHAMP Spikes, the most popular brand on today recently unveiled its inaugural Mother’s Day Pink-On-The-Links™ program designed to raise funds and awareness for breast cancer research. Coinciding with both PGA and LPGA Tour events to be played on Mother’s Day, CHAMP will make a donation in the player’s behalf to the Breast Cancer Research Foundation (BCRF). Total funds contributed to the BCRF will be based on the number of total participants wearing the commemorative pink spikes at both The Players Championship at TPC Sawgrass (Ponte Vedra Beach, Florida) and the Michelob ULTRA Open at Kingsmill (Williamsburg, VA). 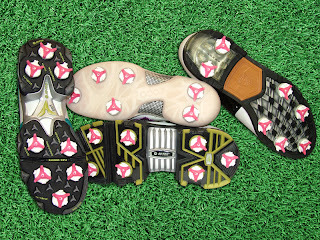 Several leading footwear manufacturers and CHAMP partners who have already committed to participate in the Mother’s Day Pink-On-The-Links spike campaign including Nike, ECCO, and Hi-Tec. 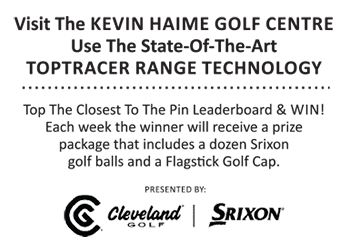 These companies represent many of the world’s finest golfers and CHAMP anticipates a vast majority of players that wear their spikes on a weekly basis will participate, helping make this grassroots awareness effort a success. Don’t be surprised if you catch your favorite pros “checking” their spikes if they get some TV time this week. Cheers to all the those taking part in the unique program.